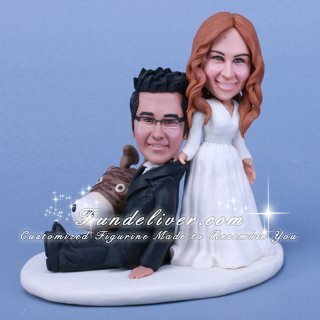 This is a completely customized giraffe wedding cake topper ordered by one of our customers. 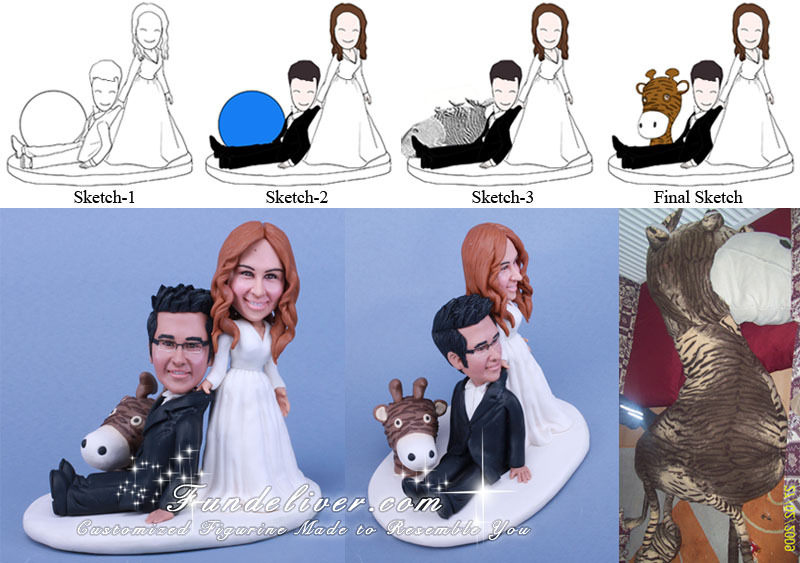 Their design is based on one of our popular style- bride dragging groom wedding cake topper, since they are physiotherapists, their original plan was to replace football’s ball and helmet by physio-ball. However from the 2D sketch, it doesn’t feel that good, then they changed their mind to do their love symbol instead of physio-ball. Their love symbol is a giraffe named Gargadan, made by groom’s hand. Gargadan’s whole body is quite large, so they just need her big head to be on the side of groom. Love this giraffe cake topper? Do you have any “love symbol” to incorporate in your wedding cake topper?